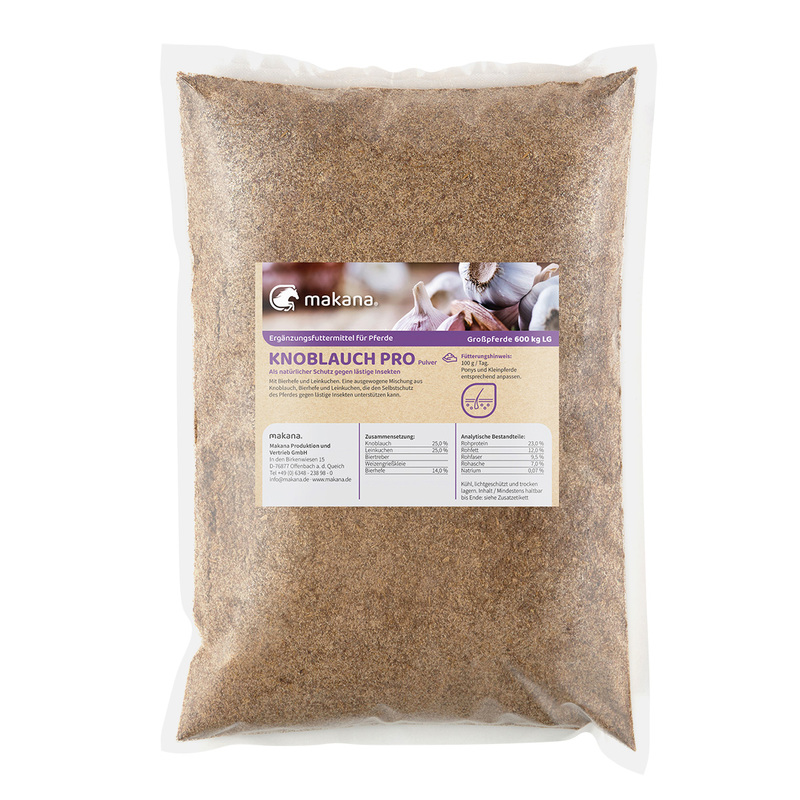 Product information "Garlic PRO with Brewer's Yeast and Flaxseed press cake 1,5kg bag"
Natural protection against annoying insects. 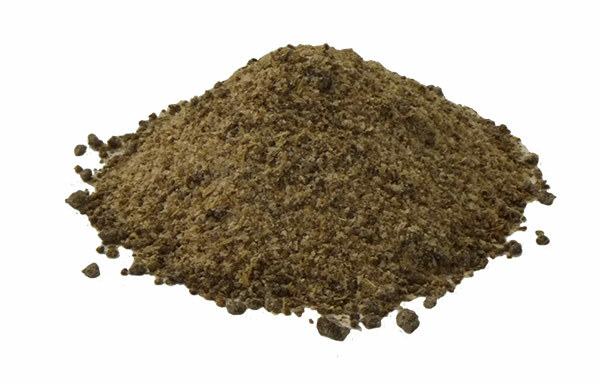 This is a well-balanced blend made of garlic, Brewer’s Yeast BT and Flaxseed press cake (gained from cold press of 99% pure linseed- high residual oil content), that can support the self-protection of the horse against annoying insects. Horses (600 kg body weight) 100 g / day. Adapt accordingly for smaller horses and ponies.